All B. E. Sanderson's novels are available for free through Kindle Unlimited. Dying Embers begins with Emma Sweet killing her husband and his mistress, but the story certainly doesn't end there! Emma goes on a cross-country killing spree to take out the men she feels have wronged her. A well-drawn villain, she's not just a monster, but a real person who has somehow become twisted by her upbringing, her bad experiences with men, and maybe an errant gene thrown in for good measure. Jace, the FBI agent tasked with following Emma's string of bodies across the country and solving the case(s), is equally well drawn. Somewhat damaged by her own childhood experiences, she's got a tough outer shell that protects her, but also keeps love and friendship at bay. When she meets Ben Yancy, that shell begins to crumble. The sexual and romantic tension between them provided a nice seasoning to the main course of mystery and thriller. And there's a nice little twist at the end I didn't see coming. Love it when that happens! 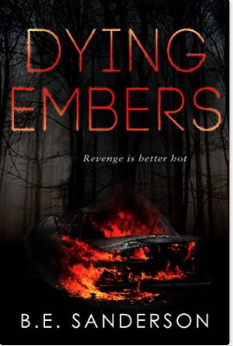 I highly recommend Dying Embers to anyone who enjoys a mystery/thriller that maintains a nice balance between the action and the characters.